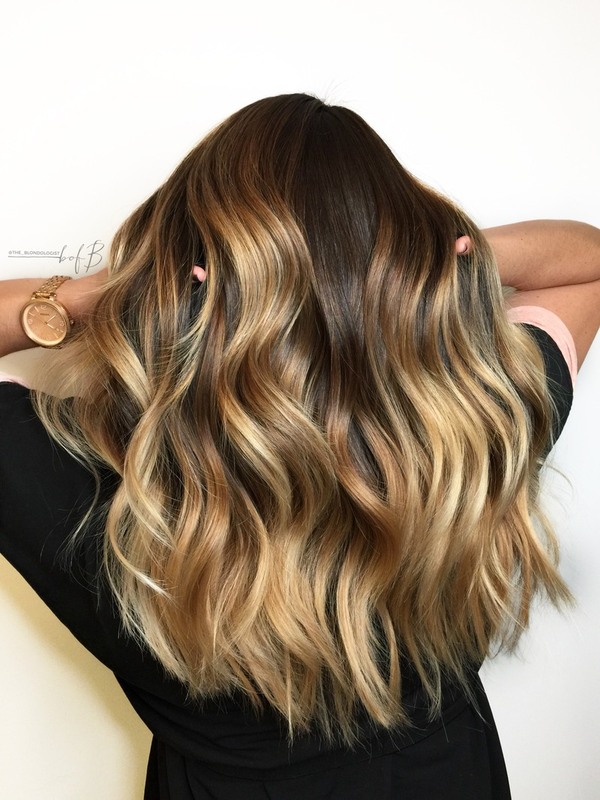 Over the course of three appointments, Ashley Lewis, @the_blondologist, from Nest Hair Studio in Richmond, has been strategically transitioning her long-term client Kristina Wade’s color into this bright balayaged ombré. 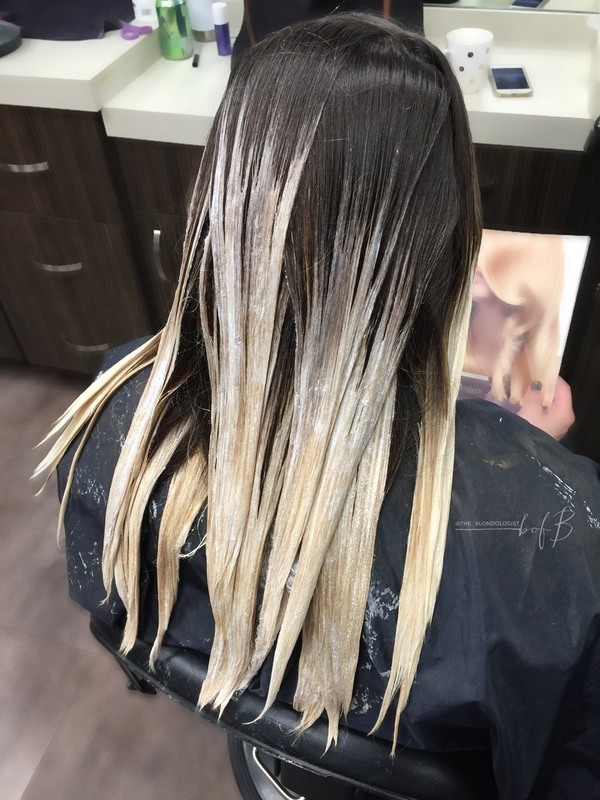 In this how-to, she shares her last stage color formulas along with an image of her placement to help you recreate this color service on your client. Style: Blow Dryer (Elchim 8th Sense), Flat Iron (HotTools 1 ¾-inch), Large-Toothed Comb, Flat Brush. After color processes, rinse and shampoo/condition with products of your choosing. Step 1: Apply about a quarter-size of Eufora Nourish Beautifying Serum from zone two to zone three and comb through with fingers. Step 2: In hands, cocktail together a nickel-size of Eufora Style Sculpture Glaze with five pumps of Eufora Style Illuminate Shine Mist and apply through zone one to zone three then comb through with a large tooth comb. Step 3: Using about a half-dollar size of Eufora Formation Whipped Styling Solution, break down the foam into liquid in your hands and then apply throughout the hair and comb through. Step 4: Blow dry starting at nape until the roots are 85% dry and ends are just damp. Step 5: Finish blow-drying using flat brush. Step 6: Curl 1 to 2-inch sections of hair using a 1 ¾-inch curling iron. Step 7: After curls have cooled, brush out using flat brush. Step 8: Take fab pics! A self-proclaimed Blondologist—one who studies blondes and their behaviors—Ashley is a Sola studio owner who co-owns Nest Studio in Richmond, Virginia. 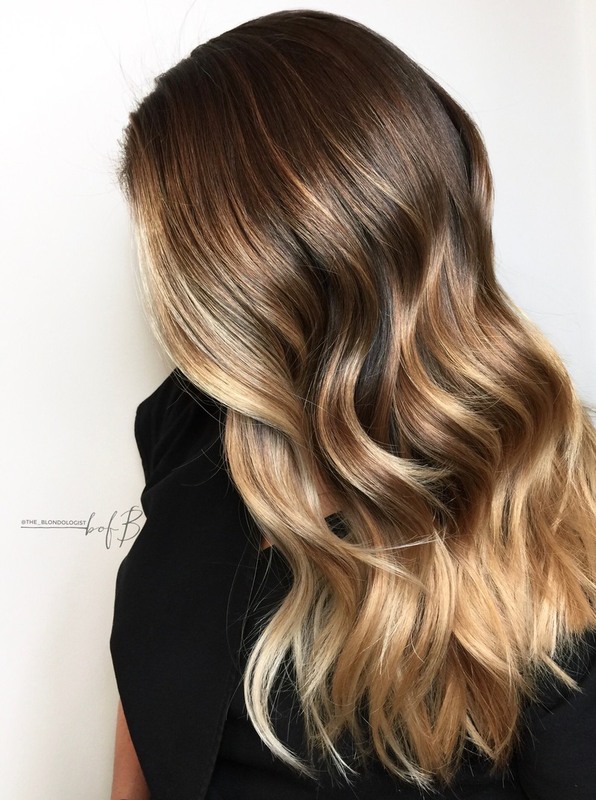 When she’s not in the salon, she is an educator for The Business of Balayage and is absolutely killing it on Instagram. Ashley is one of our 2018 Faces of Sola!